Have you been considering cosmetic treatment or a facial peel? This may be the perfect time. 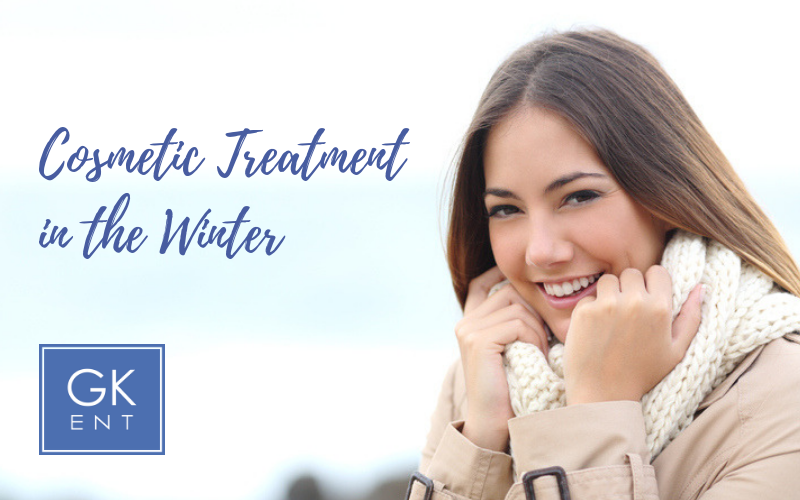 Colder temperatures are optimal for treatments that can help improve your complexion, as well as for plastic surgery. During other times of the year, like spring and summer, people tend to spend more time outside and in the sun and protecting your skin from the sun post-treatment is necessary for proper healing. In the fall and winter, your skin is more likely to protected from complications that can occur from receiving too much UV exposure while skin is still in the recovery stage. Because there are lower UV levels during these months, it’s a great time to consider cosmetic treatments. Most people also find it easier to recuperate indoors during the colder months, without the added pressure of beach vacations, pool time, and other outdoor activities. Patients at Greater Knoxville ENT can choose to begin or continue cosmetic treatment through a number of pharmaceutical grade products. Our products are carefully chosen to provide patients with the best options to allow their skin to change in the best possible way. Call (865) 244-4396 to schedule an appointment, or contact us online.